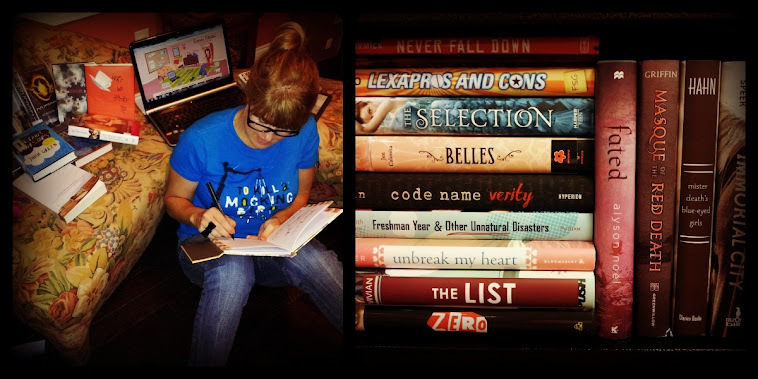 But Warm Bodies isn't the only popular teen read seeing a movie release this year. In the next few months, hot Y.A. 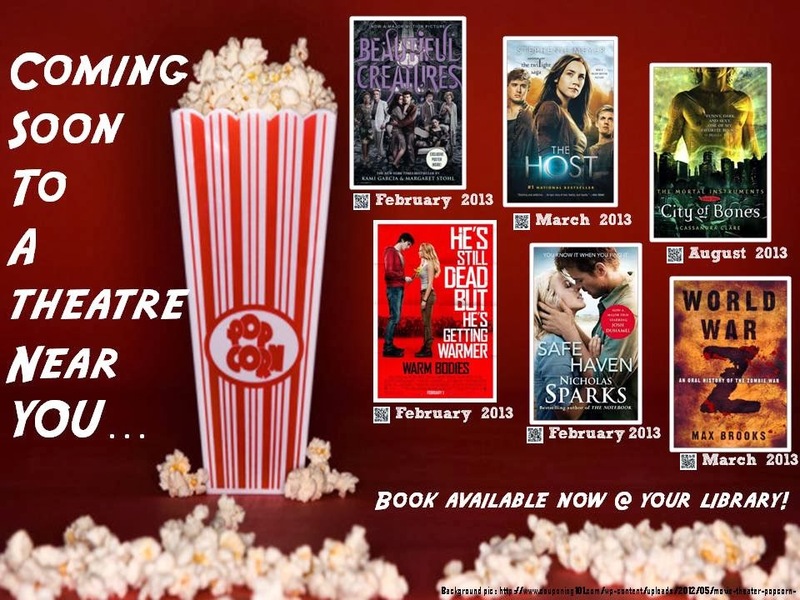 titles like Beautiful Creatures, The Host, and Mortal Instruments: City of Bones will also hit the big screen, while adult books also marketed to teens, such as Safe Haven and World War Z (there go those zombies again! ), are being touted as must-sees by my boo's too. To tap in to the Y.A. 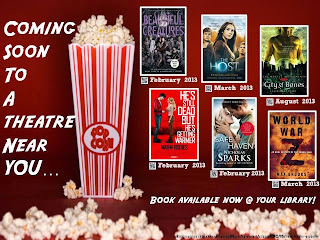 cinema craze, I created this poster featuring the book covers, projected release dates, and QR codes for the movie trailers. For all the fans of the book Warm Bodies, I still have students coming in to say, "I didn't know that was a book! Can I read it before I see the movie next week?" Annnnnnnd that's the idea. ;-) FYI - if my school is any indication, you may want to pick up some extra copies of these titles because demand is HIGH.